In honor of National Women's History Month, I am going to try to do a couple of posts this month to honor fearless females in my family. 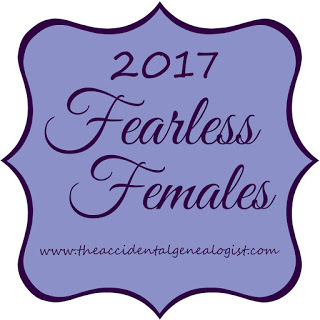 Lisa Alzo of The Accidental Genealogist blog is hosting once again the Fearless Females Blogging Prompt Series. If you aren't familiar with these blog prompts, be sure to visit her blog for more information. My maternal 2nd great grandmother Jonas Bryant was someone I would most definitely categorize as a fearless female. She was born March 15, 1867 in Morehead City NY to parents Henry Bryant and Caroline Ellison Bryant. She raised two children on her own and helped to raise her sister's son. She was a hard worker doing whatever was necessary to take care of her family. 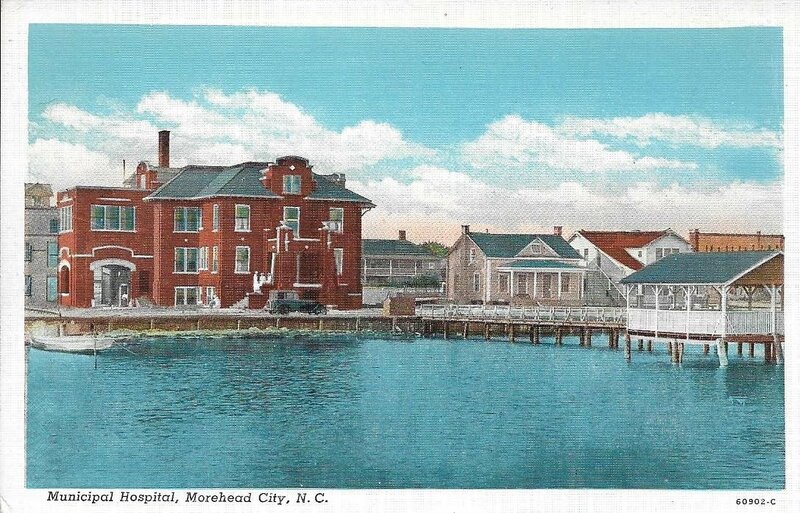 During her lifetime she worked as a clammer and as a maid. According to Jonas's death cerificate her cause of death was breast cancer. Source Information Ancestry.com. 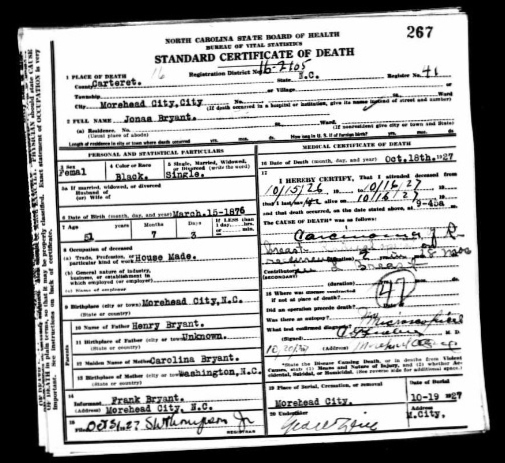 North Carolina, Death Certificates, 1909-1976 [database on-line]. Provo, UT, USA: Ancestry.com Operations Inc, 2007. She died on October 18, 1927 from the disease. Apparently, she had been diagnosed with carcinoma of the right breast 2 years 18 months before her death and had a "radical operation" for treatment. That radical operation I believe was more than likely a mastectomy. Can you imagine getting a mastectomy back then. Then add the fact that she was a black woman in 1927 getting a mastectomy. Where did she go for treatment? Was it at the old Morehead City Hospital? Jonas Bryant was an incredibly strong woman to have gone through all this on her own. She would not have had the luxury of taking much time off work since she had a family to take care of. Honestly, I am amazed she lived as long as she did, considering the disease and the treatment.